NCAA March Madness starts today, and it got us thinking ... What if we could hold the ultimate opera tournament of all the greats, side by side?! 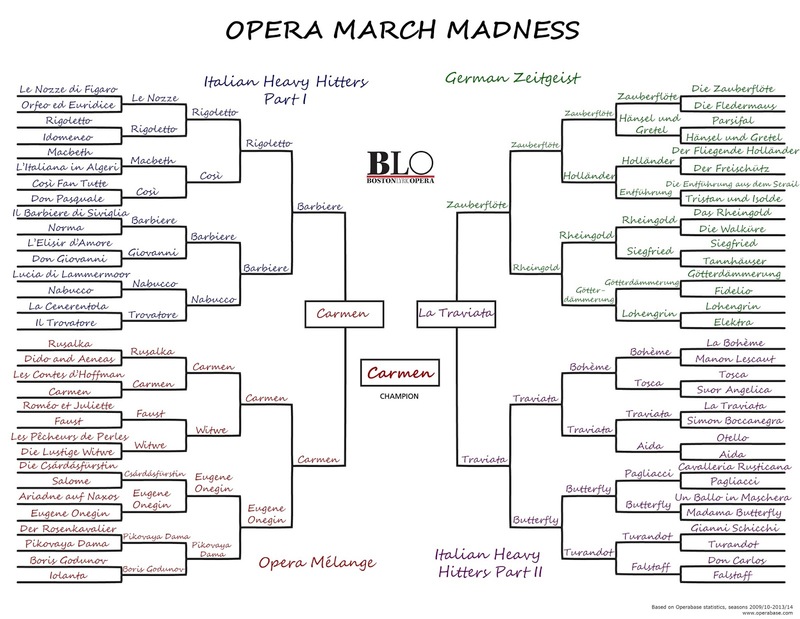 Check out our Opera March Madness bracket, based on the fascinating statistics compiled by Operabase. What would YOUR bracket look like?